I have seen that there is a petition that will be presented to Parliament in Malaysia, signed by NGOs, calling for the withdrawal of Petronas from Myanmar. I am really sorry, but this is just absurd. No one seems to have comprehended the first thing about business and economic influence. Not only is it near impossible that Petronas will leave Myanmar; making this demand basically futile; but it totally misses the fact that Petronas HAS influence by BEING there. It seems to me that, at least in terms of a political solution to the Rohingya issue, activists have been devoting themselves to essentially symbolic efforts rather than practical ones. I don’t know if this is due to insincerity or ignorance; but the result (or lack of result) is the same. Western military support for Myanmar is minuscule to the point that it plays almost no role whatsoever in the army’s capacity to carry out the genocide. The recent bill introduced in the US Congress to prohibit certain types of military assistance and cooperation is being hailed as a significant step; though it comes after more than half of the Rohingya population has already been driven out of the country, and even though it will have zero actual impact on the army’s existing capabilities. Even this is a symbolic act. The recent Council on Foreign Relations article talking about this bill, and what other steps might benefit the Rohingya, makes no mention of multinational corporations when listing other global actors with the power to influence the Myanmar regime; though the economic development of Rakhine state, and the creation of conditions favourable to foreign investors are absolutely the key elements driving the ethnic cleansing. The article is not discussing steps for resolving the crisis, it is discussing steps for continuing to avoid resolving it. We are at a point now where the Rohingya issue is no longer even going to have a political solution, and it will become exclusively an issue of humanitarian relief, which will basically never end. The regime has been practical and realistic and systematic in pursuit of its agenda all along; but activists and NGOs advocating the Rohingya cause have been anything but. The word “Rohingya” is now going to be synonymous with the word “refugee”, and it will remain so for generations. When I first became involved with the Rohingya cause, my immediate analysis was that the mutual economic interests of the Myanmar ruling class and of the international business community were driving the genocidal policy of the government. I believed that multinational corporations were unbothered by the ethnic cleansing of the Rohingya, and that they, indeed, approved of what the regime was doing in Rakhine because it represented a tried and true policy for conflict management and the consolidation of control over resources. I did not propose that we could expect MNCs to see the genocide as being bad for business, in and of itself, because, from the standpoint of business, it certainly is not. Business has taken an approving posture on this issue precisely because it is a good policy for business. What I proposed was that what activists needed to do was to make it bad for business by imposing negative consequences in the marketplace upon companies that supported the regime, or were otherwise silent and indifferent about the genocide. Without doing this, because companies are not moral entities, there would be no way to convince them that genocide was a bad idea. The genocide of the Rohingya has given the regime expanded control over land and resources in Rakhine, decreased official unemployment figures (by expelling hundreds of thousands of people from the potential work force), reduced competition for jobs, cleared land for development, and of course, created sprawling refugee camps both inside and outside the country which can be used as depositories for goods in an essentially captive market, paid for by governments and private donations as part of the humanitarian relief industrial complex. From all angles, it is good for business. And this is something the international business community has perceived all along. This is why the only conceivable way for us to have had an impact would have been to offset that dynamic by imposing negative market consequences, and alternatively, by bestowing market rewards for companies that took a good stance against the genocide. As I have written time and time again, this is something that can only be achieved through grassroots consumer activism. We are the crucial element in determining whether any policy is profitable or unprofitable. 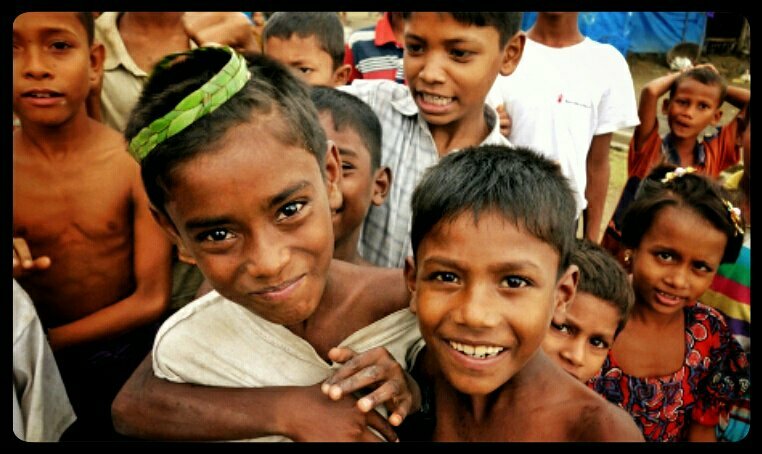 A company like Unilever under the astute leadership of Paul Polman realized the potential danger the genocide posed to their regional reputation, and thus to their expected profitability in Southeast Asia; and this is why Unilever issued a public statement in support of the Rohingya. No one in the campaign was under the illusion that Unilever sincerely cares about the Rohingya. What they cared about was negative backlash in the regional market, and that is exactly how we argued the case with Polman. But, at the end of the day, we needed to be able to mobilize that kind of backlash. Even if we never had to implement it, it had to be something we genuinely had the power to do. 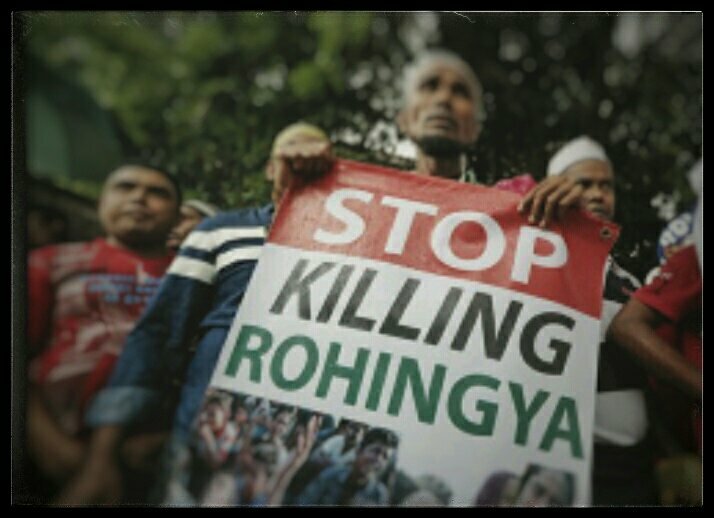 Unfortunately, in my opinion, the activists and organizations concerned with the Rohingya issue have been entirely too unfocused, reactionary, and have continued to rely on strategies that have endlessly proven to be futile; and so here we are today with the genocide, for all intents and purposes, successful. No doubt, we did not do enough to spread awareness and understanding of our approach, and did not do enough to try to mobilize on the grassroots level. But nothing whatsoever has occurred that invalidates my initial analysis or the strategy we adopted. On the contrary; the futile strategies of the past have been proved futile once again, with devastating consequences. Our solitary condemnation of ARSA too, was entirely justified, and the horrific consequences of their recklessness which we predicted have been fulfilled, and may yet unfold into even worse disasters in the future. 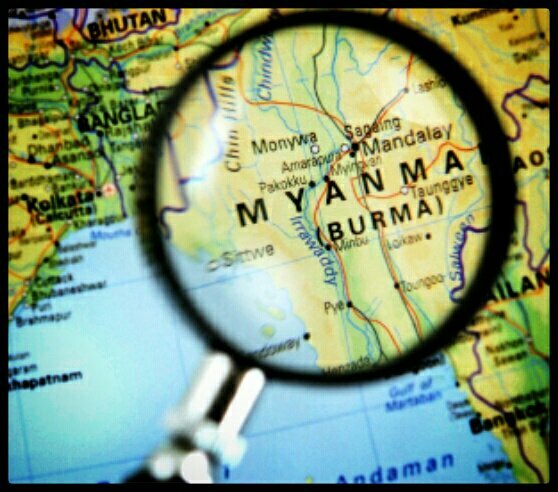 Myanmar may indeed seek repatriation of Rohingya refugees because only a couple hundred thousand Rohingya may be insufficient to be utilized as an instrument for distraction and fear to control the ethnic Rakhine population, or as a tool for maintaining low wages. If there ever does materialize American or other international military intervention in Rakhine, it will be for this reason; not because the regime committed genocide, but because they mismanaged it. If the US does intervene militarily (something highly doubtful), they will do so without the slightest interest in the welfare of the Rohingya, but rather as a means of seizing opportunities created by the genocide to preempt China from doing so. And, still, the same reality holds true. Only by democratizing corporate power through consumer activism are we ever going to be able to influence events, change policies, and prevent man-made catastrophes like the Rohingya genocide. عندما بدأت المشاركة في قضية الروهينجا لأول مرة، كان تحليلي الفوري هو أن المصالح الاقتصادية المتبادلة للطبقة الحاكمة في ميانمار والمجتمع التجاري الدولي هي التي تقود سياسة الإبادة الجماعية التي تتبعها الحكومة. واعتقدت أن الشركات متعددة الجنسيات لن تبالي بالتطهير العرقي للروهينجا، وأنها بالفعل وافقت على ما كان النظام يقوم به في راخين لأنه يمثل سياسة مجربة وحقيقية لإدارة الصراع وتوطيد السيطرة على الموارد. ولم أقترح أن نتوقع من الشركات متعددة الجنسيات أن ترى الإبادة الجماعية على أنها في حد ذاتها سيئة للأعمال التجارية، لأنها من وجهة نظر الأعمال التجارية، ليست كذلك بالتأكيد، فقد اتخذت الأعمال التجارية موقف الموافقة على هذه المسألة على وجه التحديد لأنها سياسة جيدة للأعمال التجارية. وما اقترحته هو أن ما یجب علی الناشطین القیام به ھو جعل هذه الإبادة سيئة للأعمال التجاریة من خلال فرض عواقب سلبیة على السوق وعلی الشرکات التي تدعم النظام، أو الشركات الصامتة وغیر المبالیة بالإبادة الجماعیة. فبدون القيام بذلك، ولأن الشركات ليست كيانات أخلاقية، لن تكون هناك وسيلة لإقناعها بأن الإبادة الجماعية فكرة سيئة. لقد أتاحت الإبادة الجماعية للروهينجا توسيع سيطرة النظام على الأراضي والموارد في راخين، وخفض الأرقام الرسمية للبطالة (عن طريق طرد مئات الآلاف من الناس خارج قوة سوق العمل المحتملة)، وخفض المنافسة على فرص العمل، وإخلاء الأرض من أجل التنمية، وبالطبع خلقت مخيمات لاجئين مترامية الأطراف داخل وخارج البلاد على حد سواء ليتم استخدامها فيم بعد كمستودعات للبضائع في سوق “أسير” حرفيًا، تنفق عليه الحكومات وتبرعات القطاع الخاص كجزء من المجتمع الصناعي لإغاثة الإنسانية. من جميع الزوايا، هذا شيء جيد لرجال الأعمال، وهو شيء يصبو إليه مجتمع الأعمال الدولي طوال الوقت. وهذا هو السبب في أن الطريقة الوحيدة التي يمكن أن نتصور أن يكون لها أثر في مواجهة هذه الدينامية، هي فرض عواقب سلبية على أسواق الشركات الصامتة، وفي المقابل يمكن مكافأة أسواق للشركات التي ستتخذ موقفا واضحا ضد الإبادة الجماعية. كما كتبت مرارا وتكرارا، هذا شيء لا يمكن تحقيقه إلا من خلال النشاط الاستهلاكي الشعبي. نحن نمثل العنصر الحاسم في تحديد ما إذا كانت أية سياسة ستصبح مربحة أو غير مربحة. لقد أدركت شركة مثل يونيليفر تحت القيادة الحكيمة لبول بولمان الخطر المحتمل الذي تمثله الإبادة الجماعية على سمعتها الإقليمية، وبالتالي على الربحية المتوقعة في جنوب شرق آسيا. وهذا هو السبب في إصدار يونيليفر بيانا عاما لدعم الروهينجا. لا أحد في الحملة يظن للحظة أن يونيليفر تبالي بصدق بالروهينجا، ولكن كل ما يقلقها هو رد الفعل السلبي في السوق الإقليمية، وهذا هو بالضبط ما اتبعناه في إيضاح القضية لبولمان. ولكننا في نهاية المطاف، كنا بحاجة إلى القدرة على حشد هذا النوع من رد الفعل الحاسم، حتى وإن لم نضطر لتنفيذه، إلا أنه كان يجب أن يكون شيئا نحن قادرين فعلا على القيام به. لسوء الحظ، في رأيي، فإن الناشطين والمنظمات المعنية بقضية الروهينجا مشتتة وتعتمد على ردود الأفعال وهي تواصل الاعتماد على استراتيجيات أثبتت أنها بلا جدوى. وها نحن اليوم نواجه بإبادة جماعية ناجحة بكامل نيتها ومقاصدها… لا شك أننا لم نفعل ما يكفي لنشر الوعي بهذا النهج، ولم نفعل ما يكفي لمحاولة التعبئة على المستوى الشعبي. ولكن لم يحدث أي شيء على الإطلاق يلغي تحليلي الأولي أو الإستراتيجية التي اعتمدتاها. ولكن على العكس تماما؛ فقد ثبتت جدوى استراتيجيات الماضي غير المجدية، مع ما يترتب على ذلك من نتائج مدمرة. كما أن إدانتنا المنفردة لجيش خلاص أراكان (ARSA) كانت مبررة تماما، فالعواقب المروعة لتهورهم التي توقعناها تحققت، وقد تتكشف بعد في كوارث أكثر سوءا في المستقبل. وقد تسعى ميانمار بالفعل إلى إعادة اللاجئين الروهينجا إلى أوطانهم لأن بضع مئات من آلاف الروهينجا قد لا تكون كافية للاستفادة منهم كأداة إلهاء وتخويف لفرض السيطرة على سكان راخين العرقيين، أو كأداة للحفاظ على أجور منخفضة. إن ظهر في المستقبل أي داعي للتدخل العسكري الأمريكي أو الدولي في راخين، فسيكون لسبب واحد فقط ليس هناك غيره؛ وهذا السبب ليس لأن النظام ارتكب إبادة جماعية، ولكن لأنه أساء إدارتها. إذا تدخلت الولايات المتحدة عسكريا (وهذا شيء مشكوك فيه جدا)، فإنها ستفعل ذلك دون أدنى مصلحة لرفاهية الروهينجا، ولكن كوسيلة لاغتنام الفرص التي خلقتها الإبادة الجماعية وفقط لاستباق الصين في هذا المضمار. ومع ذلك فالواقع قائم كما هو: فقط إن تم تحويل مسار الشركات إلى المسار الديمقراطي من خلال النشاط الاستهلاكي، سنكون قادرين على التأثير على الأحداث، وتغيير السياسات، ومنع الكوارث التي من صنع الإنسان مثل الإبادة الجماعية للروهينجا. Nestle says, “The impact that we have locally has the potential to be felt internationally; the ideas that you bring to life today could shape our future”. I couldn’t agree more. The impact Nestle has internationally can also, of course, be felt locally. Nearly half the entire Rohingya population in Rakhine state has been either murdered or expelled in what is the 21st Century’s most glaring case of ethnic cleansing; it is increasingly difficult to not characterize what is happening in Myanmar as a full-blown genocide. Nestle is one of the biggest companies in the world, even without its significant investment in Myanmar, they possess the kind of global influence that could potentially persuade the regime in Yangon to not only halt its pogroms in Rakhine, but indeed, to reverse its policy of repression against the Rohingya. It is absolutely essential for the most powerful players in the international business community to back up the United Nations’ and the Advisory Commission on Rakhine State’s recommendations for resolving the crisis in Myanmar if they are ever going to bear fruit. We cannot talk about powerful players without talking about Nestle, the largest foods company on Earth. Any word from Nestle weighs heavily on the scales of policy-making, not only in Myanmar, but around the world. Their silence is just as significant. 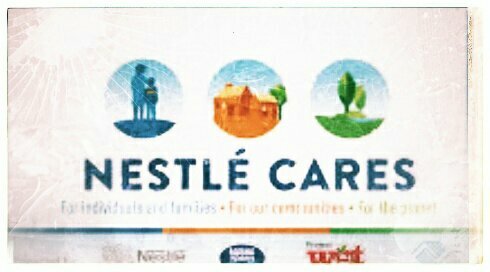 When major companies like Nestle do not take a stand against genocide, it is interpreted by the regime as permission; and it will be interpreted by consumers as either indifference at best, or actual complicity and collusion at worst. Nestle has been admirably responsive to public grievances in many instances, such as the recent campaign by Greenpeace over the company’s use of palm oil from Sinar Mas. They took many steps to address the concerns; steps that no doubt came at a considerable expense for Nestle. What Nestle stands to lose by speaking out is negligible compared to what they stand to lose by their silence; and indeed, to what they stand to gain by taking a stand. The people in the Southeast Asian region care tremendously about the Rohingya issue; tempers are running high as the pogroms continue while the international community seems to remain largely ineffectual. A “Day of Anger” has been announced for November 5th, with protests planned in Malaysia and around the world. But directionless outrage and frustration can lead to very negative and even destructive consequences. 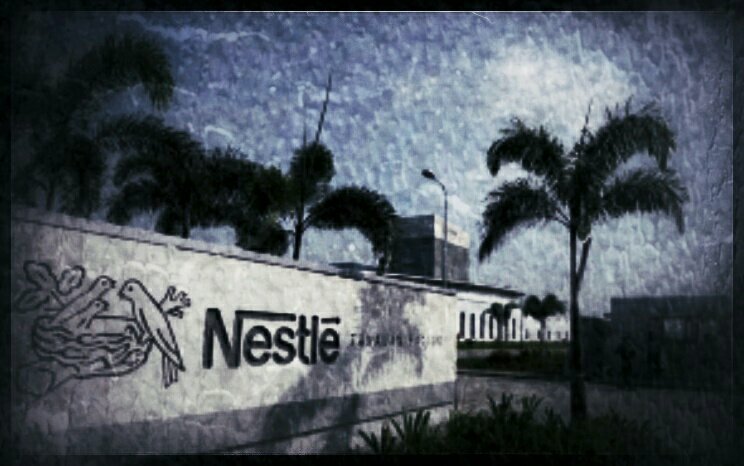 It is time for the global business leaders like Nestle to take the lead in reining in the Myanmar regime by letting them know that multinational corporations and foreign investors do not approve, and will not tolerate the crimes against humanity being perpetrated against the Rohingya. It is time for Nestle and other leading companies to align themselves with the call for peace and justice in Rakhine. It is time for Nestle to declare that “We Are All Rohingya Now”. تقول شركة نستلة: “إن التأثير الذي نملكه محليا لديه كل الإمكانات ليكون محسوسًا في العالم كله، فالأفكار التي نجلبها إلى الحياة اليوم هي نفسها التي تشكل مستقبلنا”. وأنا أتفق مع هذه المقولة تمامًا، فالتأثير الذي تحدثه نستلة دوليًا يمكن، بطبيعة الحال، أن نشعر به محليًا. ما يقرب من نصف سكان الروهينجا في ولاية راخين بالكامل، إما قتلوا أو طردوا في ما هو يعتبر أكثر حالة صارخة للتطهير العرقي في القرن الحادي والعشرين؛ يصعب بشكل كبير ألا نصف ما يحدث في ميانمار بأنه إبادة جماعية كاملة. وشركة نستلة واحدة من أكبر الشركات في العالم، حتى من دون استثمارات كبيرة في ميانمار، فإنها تمتلك نوع من التأثير العالمي يمكن بشكل كبير أن يقنع النظام في يانغون ليس فقط أن ينهي المذابح في راخين، بل أيضا أن يعكس سياسته القمعية ضد الروهينجا. من الضروري للغاية لأقوى اللاعبين في مجتمع الأعمال الدولي أن يدعموا توصيات الأمم المتحدة واللجنة الاستشارية المعنية بولاية راخين لحل الأزمة في ميانمار إذا كان مقدرا لهذه التوصيات أن تؤتي أي ثمار. لا يمكننا التحدث عن لاعبين أقوياء دون التحدث عن نستلة، أكبر شركة للأغذية على الأرض. فأي كلمة من نستلة تزن الكثير على موازين صنع السياسات، ليس فقط في ميانمار، ولكن في جميع أنحاء العالم. وبالتالي فإن صمتهم لا يقل أهمية. فعندما لا تتخذ شركات كبرى مثل نستلة موقفا ضد الإبادة الجماعية، فهذا يفسره النظام على أنه إذن بأن يستمر في أفاعيله؛ وسيفسره المستهلكون على أنه إما لامبالاة في أحسن الأحوال، أو تواطؤ فعلي ودعم في أسوأ الأحوال. وقد استجابت نستلة بشكل مثير للإعجاب للمظالم العامة في كثير من الحالات، مثل حملة غرينبيس (Greenpeace) الأخيرة حول استخدام الشركة لزيت النخيل من سينار ماس. واتخذوا العديد من الخطوات لمعالجة المشكلة؛ وهي خطوات لا شك كلفت شركة نستلة الكثير من المال. أما إدانة الإبادة الجماعية فهي لن تكلفهم أي شيء على الإطلاق. ما تخاطر نستلة بأن تفقده لو تحدثت لا يكاد يذكر مقارنة بما ستخسره بسبب صمتها؛ وبالتأكيد مقارنة بما ستكتسبه لو اتخذت موقفًا واضحًا. الشعوب في منطقة جنوب شرق آسيا تهتم بشكل كبير بقضية الروهينجا، وحدة التوتر تتزايد مع استمرار المذابح في حين يبدو أن المجتمع الدولي لا يزال غير فعال إلى حد كبير. حتى أنه قد تم إعلان “يوم الغضب” ليكون في الخامس من نوفمبر القادم مع تنظيم احتجاجات في ماليزيا وحول العالم. ولكننا نعرف أن الغضب والإحباط بدون أي اتجاه قد يؤديان في الغالب إلى عواقب سلبية جدا ومدمرة جدا. لقد حان الوقت لقادة الأعمال العالميين مثل نستلة أن يأخذوا بزمام المبادرة في ترويض نظام ميانمار لكي يعلمونهم أن الشركات متعددة الجنسيات والمستثمرين الأجانب لا يوافقون، ولن يتسامحوا مع الجرائم ضد الإنسانية التي ترتكب ضد الروهينجا. تهتم شركات النفط والغاز بشكل متزايد بالاستكشاف قبالة سواحل ولاية راخين، وتعمل شركات مثل وودسايد للطاقة وشل وتوتال وشيفرون بالفعل على عدة حقول في مناطق عبر البحار، وهي على ثقة من أن هناك اكتشافات كثيرة بانتظارها في المستقبل بعد اكتشاف أكبر حقل للغاز الطبيعي في عام 2016 قبالة سواحل راخين. في العادة، تقوم شركات النفط والغاز الكبرى، رغم أنها غير ملزمة قانونا بذلك، ببدء مشاريعها الإنمائية في المجتمعات المتضررة للتعويض عن الأضرار التي لحقت بسبل عيشهم. وجميع الشركات المذكورة آنفا لها برامج مشاركة مجتمعية واسعة النطاق تهدف إلى ضمان أكبر قدر ممكن من العمليات التي لا تؤثر سلبا على سبل عيش المجتمعات المتضررة. في الوقت الحاضر، كما نعلم، يتعرض الروهينجا للتطهير العرقي في ولاية راخين، أي أن المجتمع المتضرر يتم محوه. وهذا يعني أن أي مشاريع تنموية تستهلها شركات النفط والغاز ستفيد شعب راخين بشكل حصري؛ رغم أنهم لا يعملون بشكل عام في قطاع صيد الأسماك. يمكن أن ينظر إلى هذا على أنه مظهر من مظاهر الكراهية العرقية التي تضمرها الحكومة للروهينجا (فهم يضمنون بهذا أن أصدقائهم البوذيين هم وحدهم من سيجنون فوائد التنمية)، وفي نفس الوقت يتم استخدام هذا كأداة لتهدئة راخين عن طريق إلهائهم بفرص مادية للتخفيف من عدائهم بسبب استغلال موارد دولتهم. 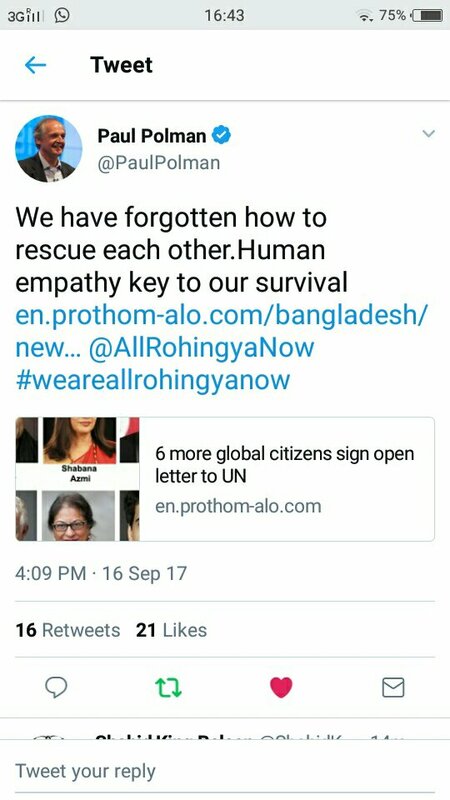 After several months of continuous lobbying by the #WeAreAllRohingyaNow Campaign, Norwegian telecom company Telenor (a major investor in Myanmar) has finally addressed the repression of the Rohingya minority in Rakhine state and affirmed the company’s agreement with the recommendations of the recent report by Kofi Annan’s Advisory Commission on Rakhine State. The #WeAreAllRohingyaNow Campaign is an initiative by independent activists around the world to recruit the support of multinational corporations and foreign investors in Myanmar for an end to what is increasingly being characterized as a full-blown genocide against the Rohingya; often referred to as “the world’s most persecuted minority”. 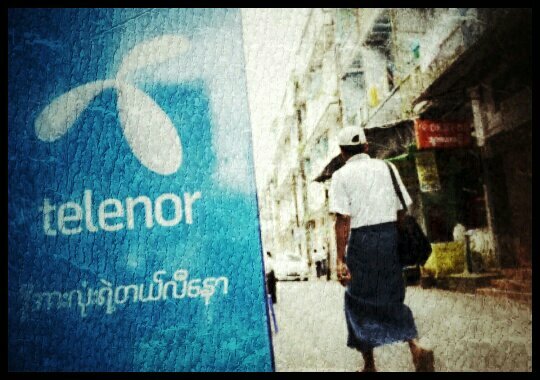 Telenor said: “We share the call for open dialogue, and sustained engagement between all actors to chart a positive vision for the future of Rakhine State.” And the company affirmed its commitment to “respecting human rights in all our markets”. بعد عدة أشهر من الضغط المستمر من قبل حملة #WeAreAllRohingyaNow، قامت شركة الاتصالات النرويجية تيلينور (مستثمر رئيسي في ميانمار) أخيرا بتوجيه خطابها لقضية قمع أقلية الروهينجا في ولاية راخين وأكدت توافق الشركة مع التوصيات الواردة في التقرير الأخير الصادر عن لجنة كوفي عنان الاستشارية والمعنية بدولة راخين. وقد علقت جميلة حنان – مديرة الحملة – على هذا اخبر قائلة: “هذه خطوة هامة وإيجابية من تيلينور، وبالطبع فهي مهمة أيضا بالنسبة للروهينجا. لقد ظللنا نتواصل معهم لفترة طويلة، وأظن أن اندلاع العنف في الأسابيع القليلة الماضية جعل تلينور تدرك أهمية وإلحاح تواصلنا معهم، ونحن نرحب بتأكيد الشركة على التزامها بحقوق الإنسان، ويسعدنا أنها أيدت توصيات تقرير لجنة كوفي عنان”. حملة #WeAreAllRohingyaNow مبادرة يعكف عليها مجموعة من النشطاء المستقلين من جميع أنحاء العالم لتجنيد دعم الشركات متعددة الجنسيات والمستثمرين الأجانب في ميانمار لوضع حد لما يتزايد وصفه بأنه إبادة جماعية كاملة ضد الروهينجا، التي غالبا ما يشار إليها باسم “الأقلية الأكثر اضطهادا في العالم”. وقالت تلينور في بيانها: “نحن نشجع على الدعوة إلى الحوار المفتوح، والمشاركة المستمرة بين جميع الجهات الفاعلة لوضع رؤية إيجابية لمستقبل ولاية راخين”. كما أكدت أن: “الشركة ملتزمة باحترام حقوق الإنسان في جميع أسواقها”. وتقول حنان: “من المشجع أن نرى تلينور تصطف مع توافق المجتمع الدولي في تأييده لتقرير عنان، ونحن نأمل أن يفهموا أيضا الدور الرئيسي الذي يمكن أن يلعبوه في المساعدة على رؤية توصيات التقرير وهي تنفذ على أرض الواقع”. في 25 أغسطس 2017، شنت حكومة ميانمار عملية عسكرية واسعة النطاق في ولاية راخين، ظاهرها هو مكافحة مجموعة صغيرة من مسلحي الروهينجا. غير أن المدنيين من الروهينجا قد عانوا الأمرين من العقاب الجماعي من هذه العملية، لأن الجيش استخدم سياسة الأرض المحروقة في جميع أنحاء المنطقة؛ فقام بحرق قرى بأكملها، وتشريد مئات الآلاف من الأبرياء، حتى أن بعض التقديرات أفادت بأن عدد الضحايا وصل إلى ما يقرب من 3000 قتيل من المدنيين. العقاب الجماعي يعتبر جريمة حرب، والعديد من المراقبين يصفون الاضطهاد الشديد الذي تمارسه ميانمار على الروهينجا بأنه تطهير عرقي. وقد انخفض فعلا تعداد سكان الروهينجا في ولاية راخين بنحو 30٪ في أقل من 3 أسابيع منذ بدء العملية العسكرية، لذا من الصعب ألا نرى ما يحدث كإبادة جماعية كاملة. ومع ذلك، فإن الشركات متعددة الجنسيات والمستثمرين الأجانب من جميع أنحاء العالم لا يزالون يتدفقون بالطوابير إلى ميانمار على أمل الاستفادة من الموارد غير المستغلة لهذا البلد، والكثير من هذه الموارد موجود في نفس المناطق التي تحدث فيها الفظائع العسكرية على وجه التحديد. بل أن الحكومة في يانجون أعلنت فعلا عن خطط لبناء منطقة اقتصادية خاصة في بلدة مونداو، وكان هذا متزامنا مع إخراج سكان الروهينجا من بيوتهم وحرق هذه البيوت بالكامل وتسويتها بالأرض. نحن ندعو الشركات الكبرى والمستثمرين إلى إظهار القيادة الأخلاقية في هذه اللحظة الفارقة من الحاجة الملحة؛ ورفض أي شراكة مع حكومة تشارك بنشاط في التطهير العرقي، واستخدام نفوذهم الكبير في تحويل النظام بعيدا عن مسار الإبادة الجماعية. نحن نقول لتلك للشركات التي تستثمر في ميانمار: لا تجعلوا علاماتكم التجارية مرتبطة بجرائم الحرب؛ لا تجعلوا شركاتكم متواطئة في جرائم ضد الإنسانية؛ لا تجعلوا مساهميكم يتحولون لشركاء في الإبادة الجماعية. الوضع في ميانمار اليوم هو باختصار كالآتي: الدم البريء هو ثمن الربح… ولا أعتقد أن أي عمل تجاري مستعد أن يدفع هذا الثمن الباهظ من اسمه وسمعته وضميره. A major part of the equation in Myanmar is almost entirely missing from the discussion; perhaps the primary part of the equation: economics. It cannot be responsibly regarded as coincidental that the areas of Rakhine in which the worst atrocities have been committed are also areas in which the government has, or plans to have, significant economic development projects. 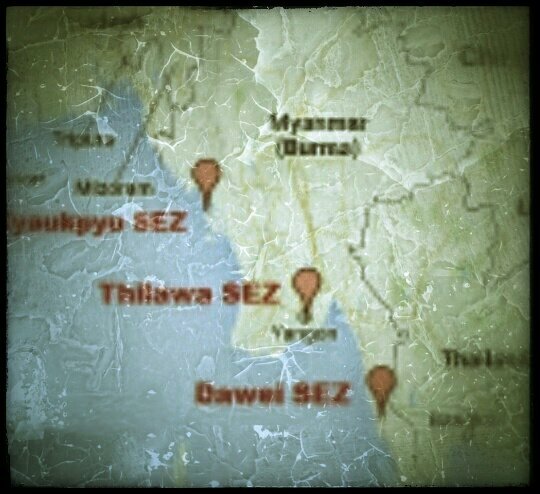 There were massacres in Sittwe in 2012 at the starting point of the Shwe Oil/Gas pipeline to China, and violence connected to the Kyaukphyu Special Economic Zone (SEZ), and now amidst the current military operations the government announced the planned development of a new SEZ in Maungdaw once the situation has “calmed down”. What is meant by “calm” can be easily guessed. It means, “thorough subjugation through violence”. The Buddhist versus Muslim narrative is superficial at best. As is the official story of the government that they are battling “insurgents”. Yes, the conflict is playing out as a religious and ethnic struggle, and yes, there is a small group of armed Rohingya who claim to be defending their people (though in reality they are doing nothing but provoke reprisals and justify the regime’s repression). But these are little more than the modalities of how a fundamentally economic conflict is being pursued. There can be no realistic expectation of resolving this matter unless and until the economic motive is addressed. This is going to require activists to begin focusing their attention on private sector players; those who stand to benefit from the repression in Rakhine, and from their collaboration with the central government. Foreign investors and multinational corporations play a decisive role in this conflict, even though their presence is in the background; and even though no one is talking about them. 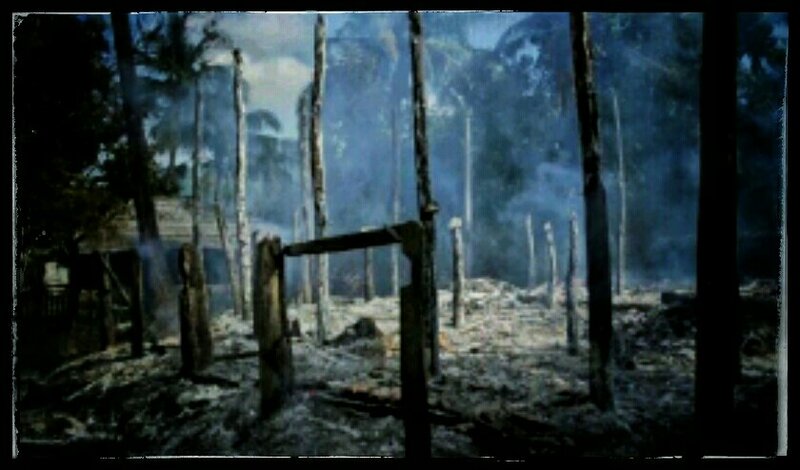 At the very least, activists and campaigners need to call upon companies invested in Myanmar to publicly condemn the violence and demand a full cessation of military operations immediately. Now, business does not have to respond to activists, but they do have to respond to their customers. This means that we all, each and every one of us, need to deliver a message to those multinationals investing in Myanmar that we will not support their profitability anywhere if they do not support our demands in Rakhine. If companies begin to see that the government’s policy against the Rohingya is interfering with their business interests, they will apply pressure on the regime to change. But if their business interests remain intact, I’m afraid that nothing else we try to do will succeed in halting the genocide. هناك شق كبير من المعادلة في ميانمار مفقود بشكل كلي من النقاش الدائر؛ وهذا الجزء ربما يكون هو الجزء الأساسي من المعادلة وهو: الاقتصاد. لا يمكن عقليا أن نعتبر الأمر صدفة أن تكون منطقة راخين التي ترتكب فيها أسوأ الفظائع هي أيضا نفس المنطقة التي تعتزم الحكومة (أو تخطط) أن تقيم فيها مشاريع هامة للتنمية الاقتصادية. لقد كانت هناك مذابح في سيتوي في عام 2012 عند بداية خط أنابيب النفط والغاز “شوي” الذي ينتهي إلى الصين، ثم امتد العنف حتى وصل المنطقة الاقتصادية الخاصة (SEZ) لكيوكفيو، والآن في ظل العمليات العسكرية الحالية أعلنت الحكومة عن خطتها لتطوير جديد في المنطقة الاقتصادية الخاصة بمونداو (Maungdaw) فور أن “تهدأ” الأمور، وطبعا يمكننا أن نتخيل بسهولة المقصود من “الهدوء” هنا: “الإخضاع الشامل باستخدام العنف”. السردية البوذية مقابل السردية الإسلامية تعتبر سطحية في أحسن الأحوال، تماما مثل القصة الرسمية للحكومة التي تقاتل “المتمردين”. لا ننكر أن الصراع يأخذ الشكل الديني والعرقي، كما لا ننكر أن هناك مجموعة صغيرة مسلحة من الروهينجا يدعون أنهم يدافعون عن شعبهم (على الرغم من أنهم في الواقع لا يفعلون سوى إثارة الانتقام وتبرير قمع النظام)، ولكن كل هذا ليس إلا طريقة من الطرائق التي يتم بها متابعة أي صراع يكون اقتصادي في جوهري. لا يمكن أن يكون هناك توقع واقعي لحل هذه المسألة ما لم يتم التصدي للدوافع الاقتصادية. ويتطلب ذلك من الناشطين البدء في تركيز اهتمامهم على الجهات الفاعلة في القطاع الخاص؛ الذين يستفيدون من القمع في راخين، ومن تعاونهم مع الحكومة المركزية. فالمستثمرون الأجانب والشركات متعددة الجنسيات يؤدون دورًا حاسمًا في هذا الصراع، على الرغم من وجودهم في الخلفية؛ وعلى الرغم من أن لا أحد يتحدث عنهم. فعلى أقل تقدير، يتعين على النشطاء والناشطين أن يطالبوا الشركات المستثمرة في ميانمار أن تدين العنف علنا وأن تطالب بالإيقاف الكامل للعمليات العسكرية فورا. وأصحاب هذه الأعمال من شركات وغيرها، ليسوا في حاجة للتجاوب مع النشطاء إن لم يريدوا، ولكن سيتعين عليهم التجاوب مع عملائهم. وهذا يعني أننا جميعا، أي كل واحد منا، يجب أن يعمل على إيصال رسالة إلى هذه الشركات متعددة الجنسيات التي تستثمر في ميانمار بأننا لن ندعم ربحيتهم في أي مكان إن لم يدعموا مطالبنا في راخين. إذا بدأت الشركات ترى أن سياسة الحكومة ضد الروهينجا تتداخل مع مصالحها التجارية، فسيضغطون فورا على النظام لتغيير سياسته. ولكن إذا بقيت مصالحهم التجارية سليمة، أخشى ألا ينجح أي شيء آخر نحاول القيام به في إيقاف الإبادة الجماعية.